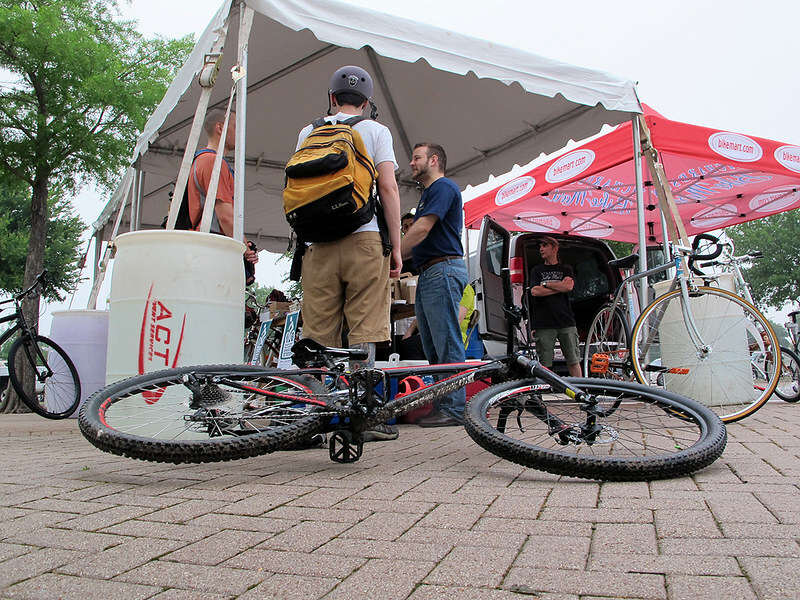 Organizing a National Bike To Work Day, Bike Commuter Energizer Station is quite a challenge. Organizing 5 of them is nearly impossible without the right partners and volunteers. This being the second year, we’re still trying to figure everything out – but we’re getting better. 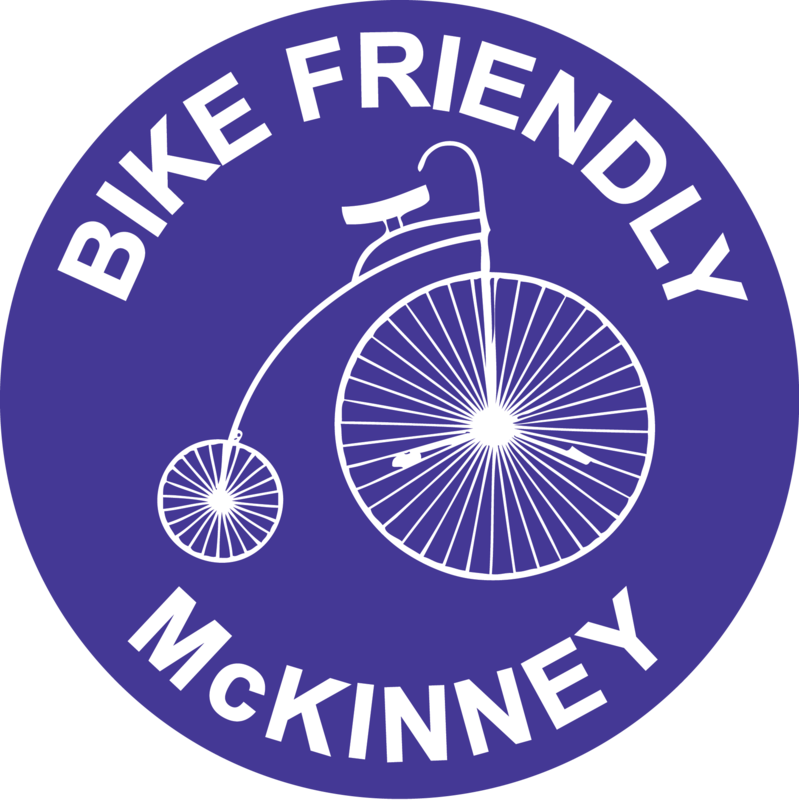 Bike Friendly Richardson member Jenny Rilling, and myself decided that we needed to set up a rest stop for bike commuters in our town of Richardson. 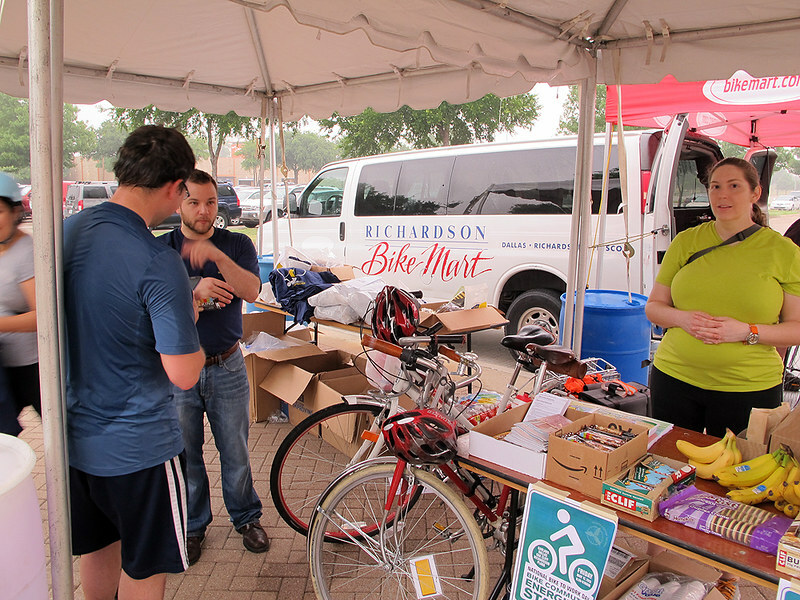 Because Jenny was a BikeDFW board member, we were able to partner with them, who in turn, connected us with a few sponsors, including Richardson Bike Mart the Dallas Area Rapid Transit folks. 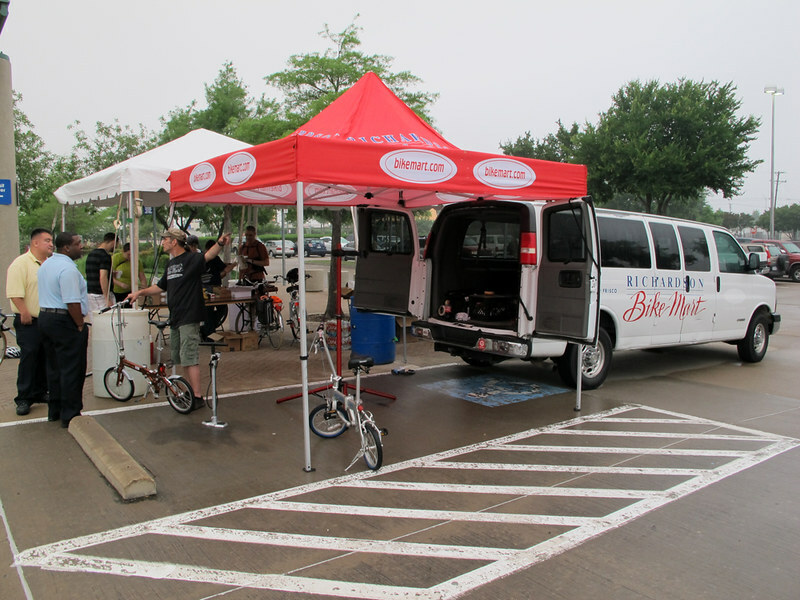 Richardson Bike Mart provided us a bike mechanic to help out with bicycle safety checks and DART gave us a place to set up at one of their local train stations. 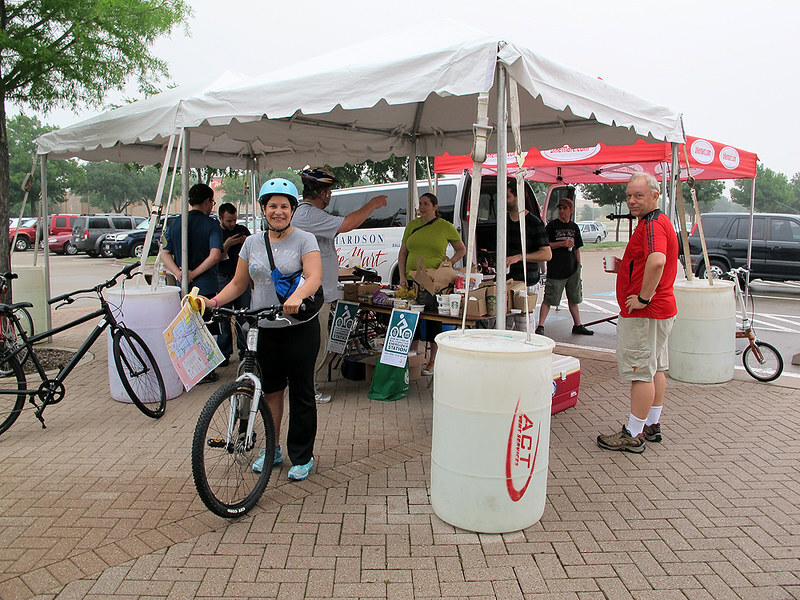 We managed to pull in a few other sponsors and had great success providing breakfast, beverages and swag for bike commuters coming through Richardson. 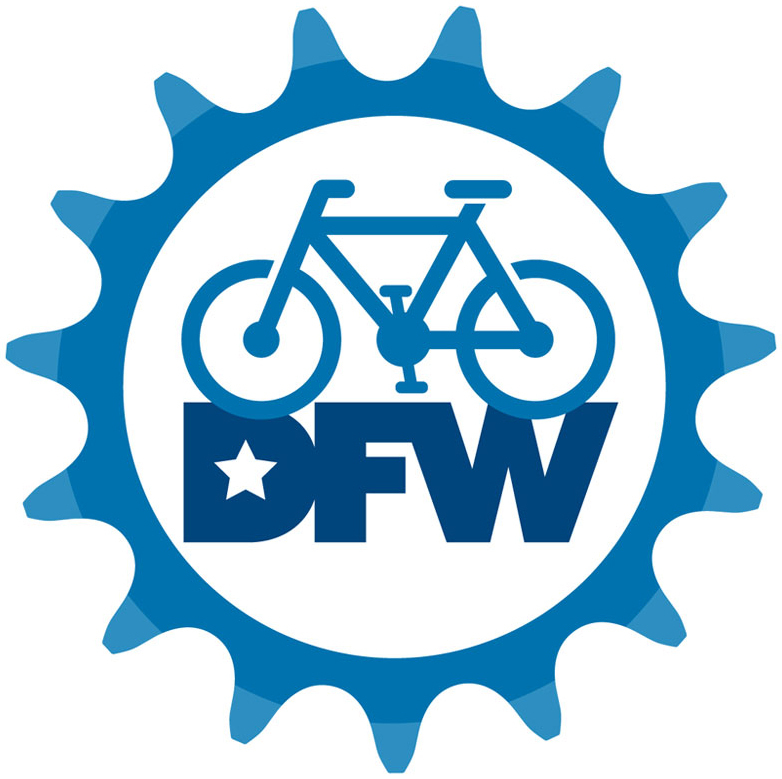 With such great success with last year’s Richardson stop, BikeDFW (of which I am now a board member) wanted to set up multiple stations this year. 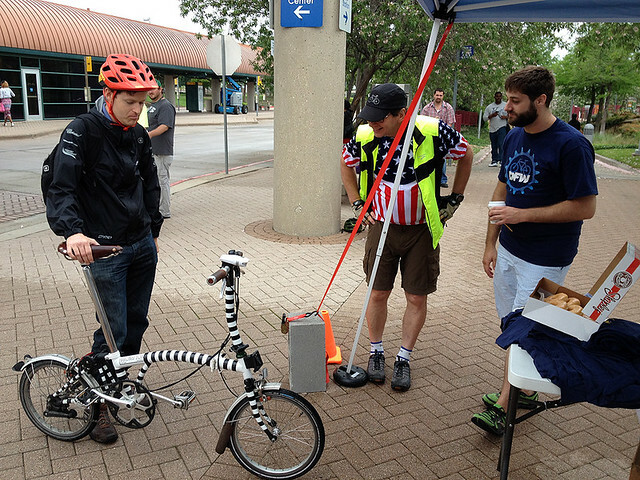 Coincidentally, DART was also wanting to set up multiple Bike Commuter Energizer Station. 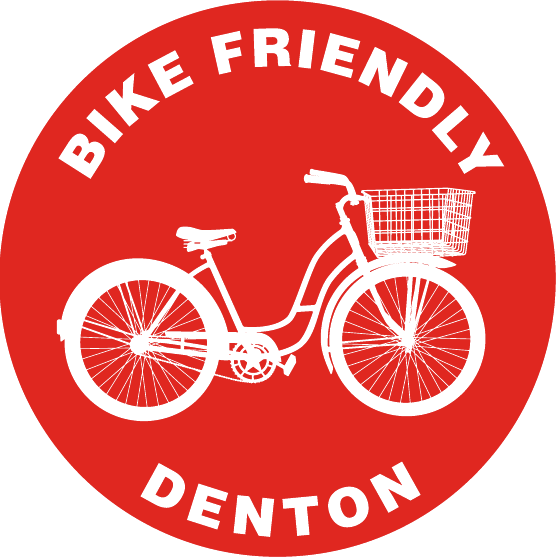 I got an email from Dan Dickerson with DART asking if we were interested in partnering with them. Obviously, we did. 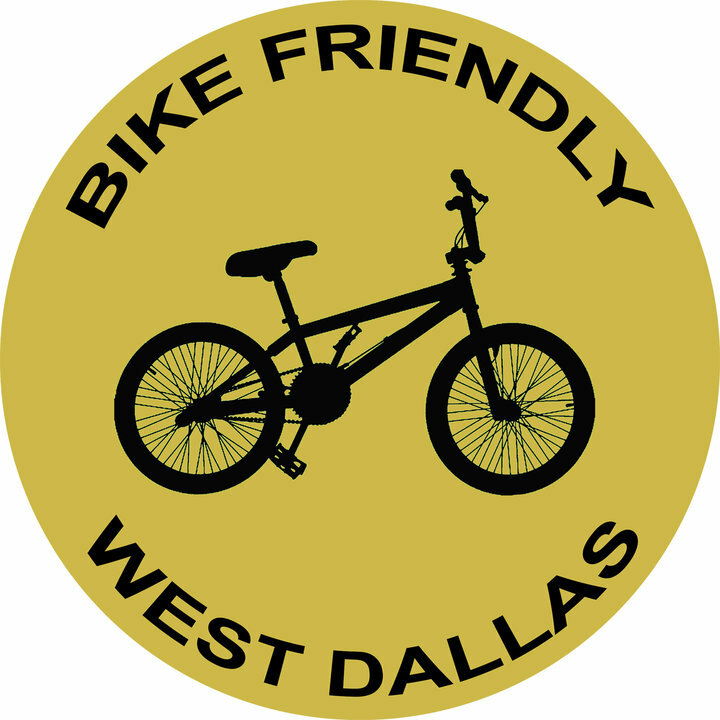 Dan, using his connections, contacted several local cities in the Dallas area. 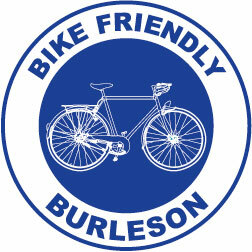 Of that list, Plano, Garland, Dallas and Bike Friendly Richardson (representing Richardson) wanted to participate. 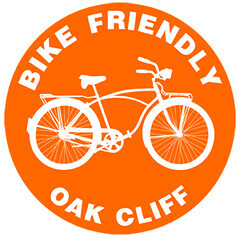 BikeDFW was also working with Bike Friendly Oak Cliff, who also wanted to set up a Bike Commuter Energizer Station. 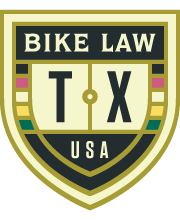 Because I was the initial contact for DART, I became the liaison between DART and BikeDFW, and most of the organizing for this event was done via email. 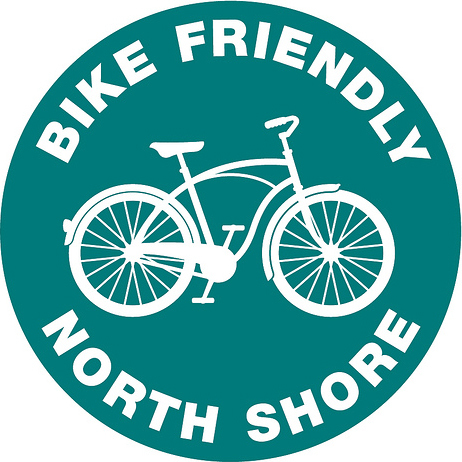 This being only the second event like this in our area, and the fact that I am organizationally-challenged, there were many challenges. 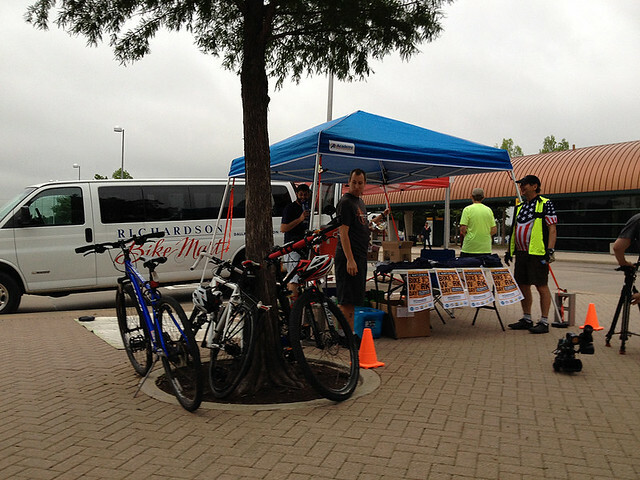 Fortunately, Dan was very organized and I had a team of great support with BikeDFW. 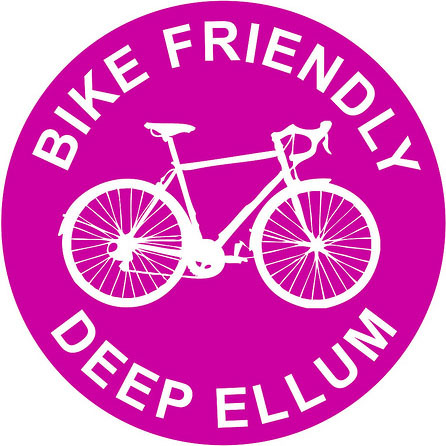 My friend Eliot, with Cycling Savvy DFW, even suggested that I set up a Google Doc spread sheet and share it with the team, which was a lifesaver. 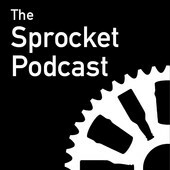 Finding sponsors is one challenge. Asking them to give stuff to our event is another. My hat is off to people who need to do this on a regular basis. The lesson that I learned is that you have to get an early start. Plus, you need to communicate by phone or face-to-face. When asking by email, you’re most likely going to get overlooked. 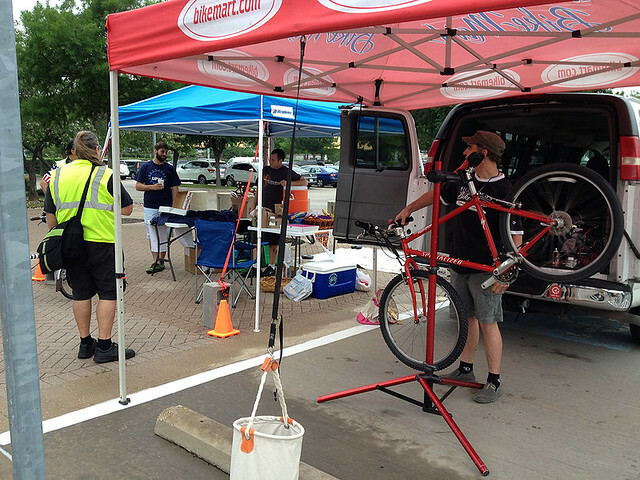 Fortunately, we were able to manage getting local bike shop sponsors, including Plano Cycling and Fitness, Richardson Bike Mart (Richardson), Richardson Bike Mart (White Rock), Don Johle’s Bike World and Oak Cliff Bicycle Company to do the bicycle safety checks at each station. 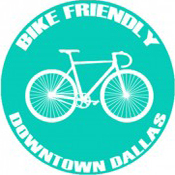 Also, KIND Healthy Snacks, Clif Bars, Re-Geared, Cycling Savvy DFW, Generator Coffee House, Neuro Energy Drinks and Zang Triangle Apartments also helped out. This was yet another challenge. 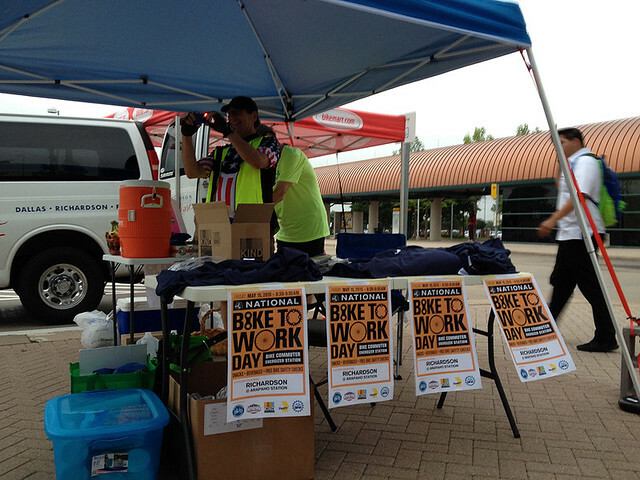 Although DART and the local cities were bringing out volunteers for each station, it was quite difficult to pull in BikeDFW volunteers. 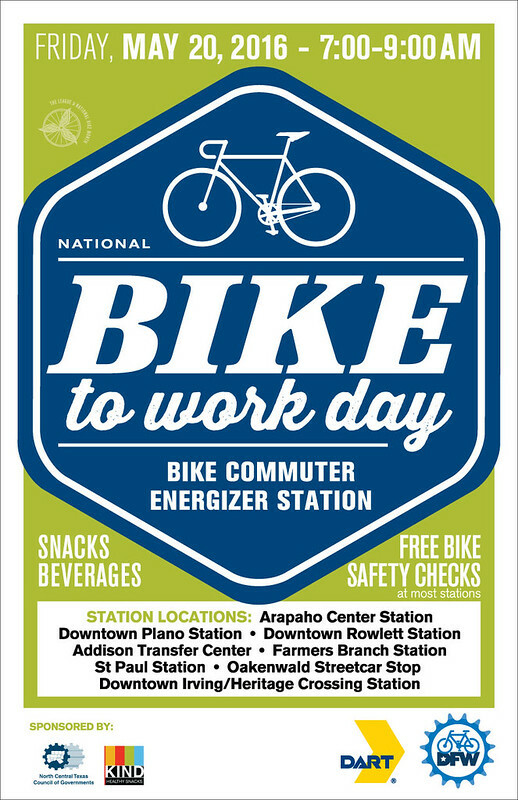 This was mostly because of scheduling issues (getting folks to take time off on a work day) or bicyclists wanting to actually ride to work on Bike To Work Day. 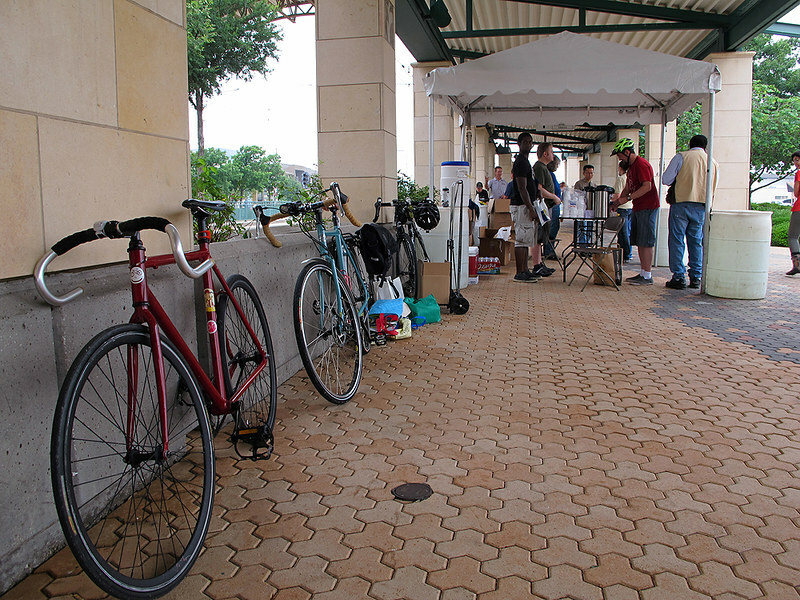 Fortunately, some great folks stepped up to help run each station. Dan Dickerson and his team of great volunteers from DART – Chris Walters, Steve Biba, Shaun Tooley, Jennifer Jones, Charylene Crayton, Jennifer Hall (and more).